Low, moist woods; floodplains; rich bottomlands. Large trunks were carved into dugouts by Native Americans. Sap used as a drink or reduced to syrup. 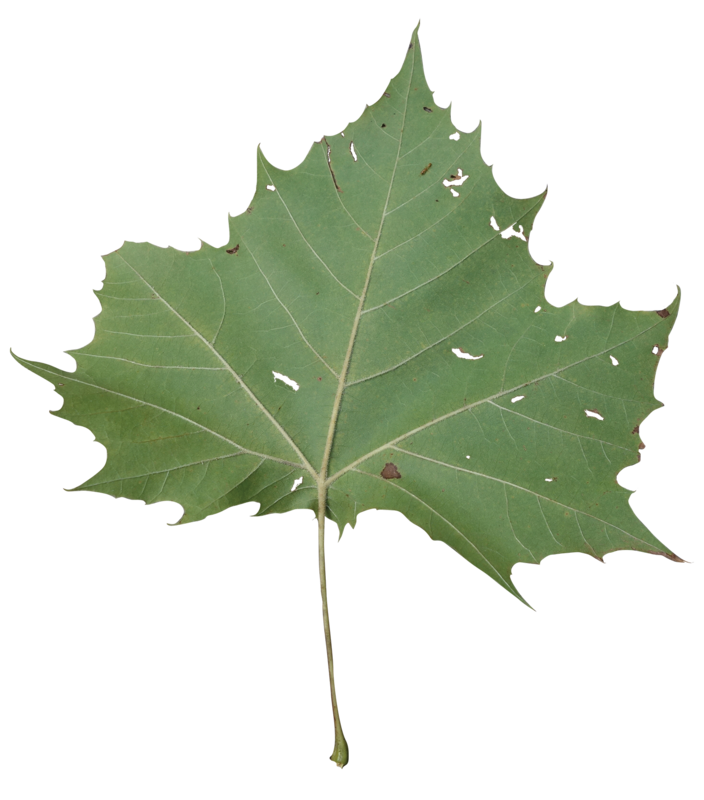 Its height, large leaves and pollution tolerance make it a common shade tree in cities. 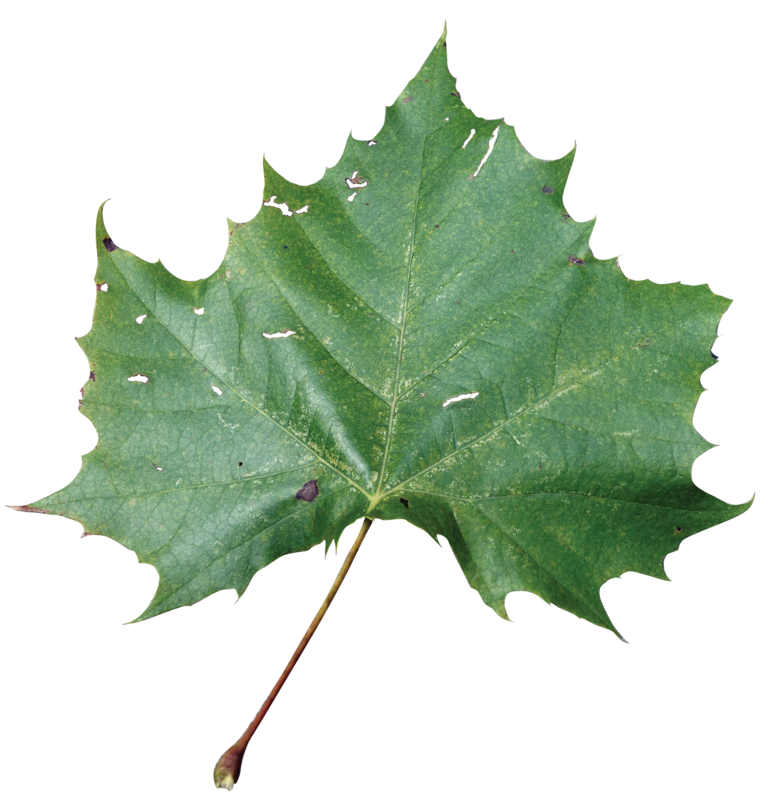 One of the largest simple leaves found on a tree in North America. 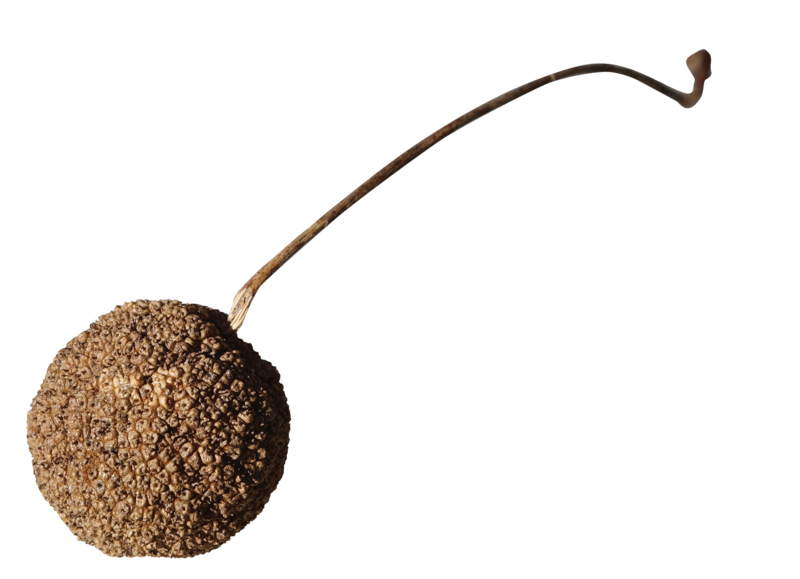 Spherical brown ball with tiny, winged, .5" long seeds on a 3 to 6" stalk; maturing in fall, disseminating in late winter. Male and female: Greenish, very small in round clusters with a single cluster to a long stalk. Blooms with leaves. 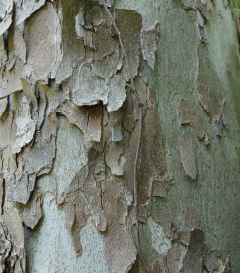 Mostly an ornamental tree; however birds and rodents eat seeds. Hollow trunk serves as cover for chimney swifts.